Dubai is a world of business and as so, it is full of offices, business buildings and all sorts of establishments that require quality office furniture for the better quality of work. This means, that office furniture is highly needed in the whole city and therefore, those producers and distributors that offer fine office furniture are highly sought for. Chairs are the most important part of office furniture. Chair is highly responsible for our daily capacity because if it brings the comfort what we need for work, then it is all the better. OK Furniture is currently one of the best furniture and specific chair suppliers on the market and they are among those with the biggest variety of chairs of all sorts. 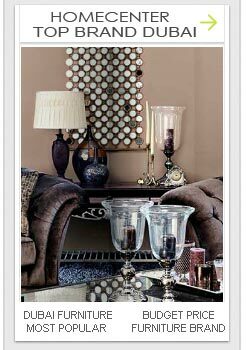 They also deal with quality tables, hotel furniture and home furniture as well. Let us see in this article what is worth knowing about OK Furniture and where we can find them in Dubai. OK Furniture has 5 showrooms all around the Emirates and by now they have grown out to be one of the biggest chair, office furniture and sofa suppliers in Dubai. They have a breathtaking variety of chairs, which is not limited to office chairs because they also deal with armchairs, banquet chairs, baby chairs and all sorts of chairs that you can possibly imagine. Their variety of sofas is also huge and they deal with also tables and lighting of all sorts. The company was founded more than 40 years ago, which ensures experience and also their competitive prices make them to be among the leading furniture suppliers in Dubai. OK Furniture works with several highly respected partners from the hospitality business and helped with the furnishing of several hotels and hundreds of offices. On their website, you can see their full offer of furniture, which is offered in at least 20 different categories, which also shows the huge variety of products at OK Furniture. They have implemented all sorts of guarantees of course and you are welcome to stop by, to see one of their showrooms or you can simply order their furniture through the internet. The five showrooms of OK Furniture can be found in Abu Dhabi, Sharjah (the furniture capital of the UAE) and in Al Mamzar. Apart from this, they have two showrooms in Dubai, one being in Zabeel, just next to the Lamcy Plaza and Malaysian Trade Centre and the other one located along the huge Sheikh Zayed Road opposite the Volkswagen Showroom right before the 3rd interchange. On the website of OK Furniture you can get to see the map of each location so that you can find them all the easier. They also have a toll free number to call for advice and they offer free consultation for their actual or potential clients. No matter you are looking for home or office furniture, it’s highly suggested that you make a stop to see the huge variety of OK Furniture in Dubai. 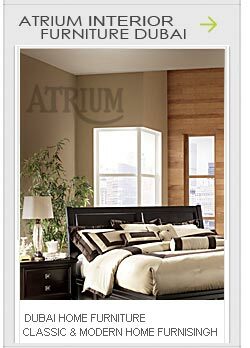 OK Furniture offers all sorts of discounts and also free shipping of their products in the cities they are located at.